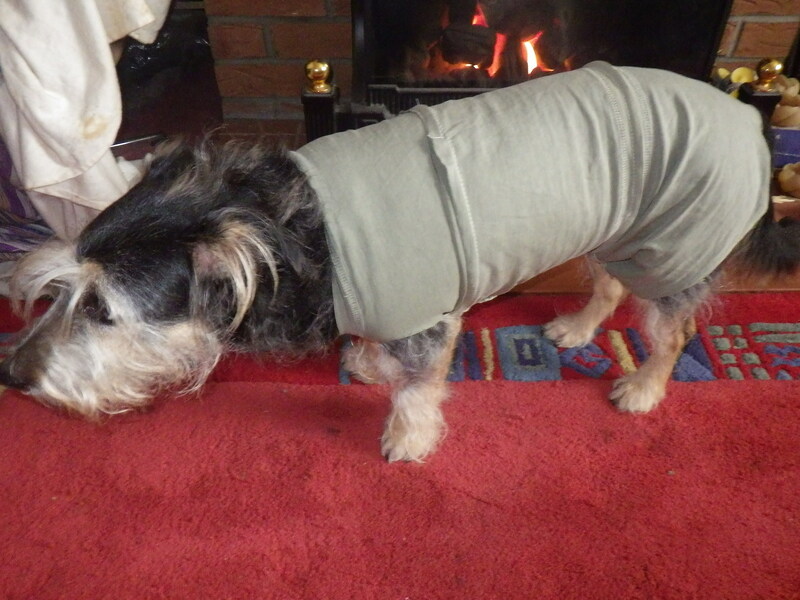 I’m pleased to report that the vest worked a treat – it was soft and comfortable and, once the popper was added, she couldn’t get it off or access her wound and she is now completely healed and re-furred – a much better solution than a plastic cone. We make a special space in our lives and our hearts for our pets, and when we lose them, we are left with a hole. Max was a huge part of our lives and his care was one of our major concerns during the last few months of his life so his departure left me very sad and empty. But, what kind friends I have… in very short order a parcel arrived all the way from Pauline (The Contented Crafter) in New Zealand, with a very special light-catcher made to commemorate Max’s life. There is even a little heart shaped frame in which I have placed a photo. like the ones that Max left in my memory. 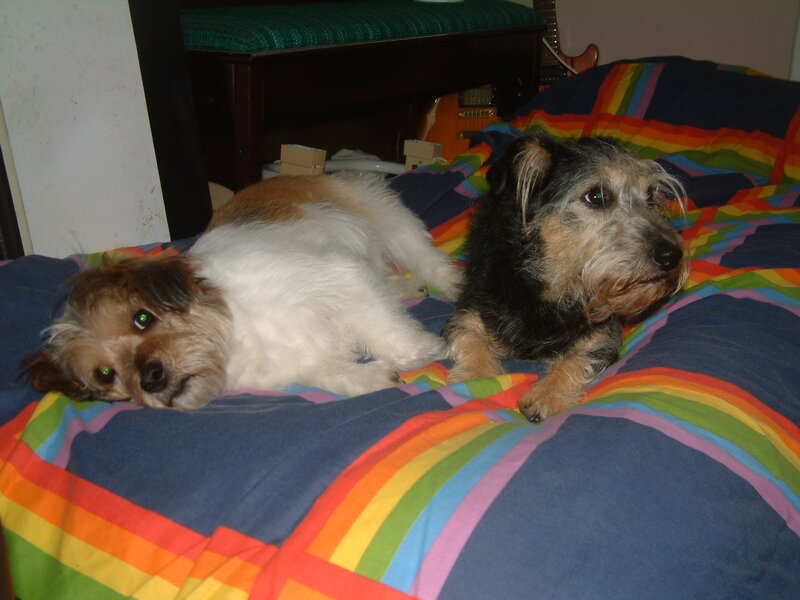 Daisy is doing a good job of making new rainbows in our life and she and Sam seem to be enjoying each other’s company. What joy to give another unwanted dog a home… although I can’t for the life of me understand why she was taken back to the rescue. Perhaps it was the singing. 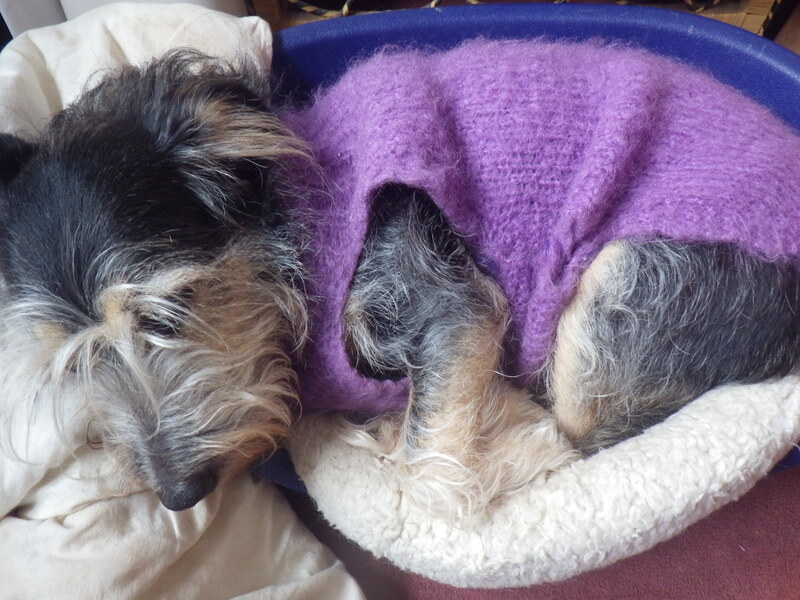 I am not, in fact, a great fan of dogs in clothes, but Sam does feel the cold and so a few years ago I did make her this mohair coat, which she wears to sleep in on cold nights. It appears to be just the job for a muscle strain too. Fingers crossed that this will mean a trip to the vets is not required. 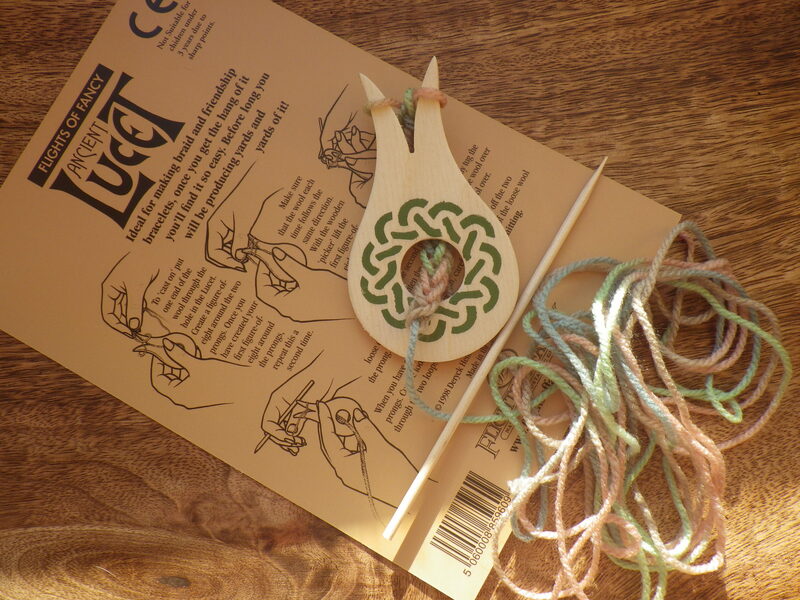 Nothing should be much larger than around 2.5 cms (OK driftwood sticks might be larger), smaller is great. What we will be doing is using resist techniques to ‘hide’ things in the felt, then reveal them (or not). Ideally bring things that go together as a ‘collection’ of things. See? I even get a special mention!! 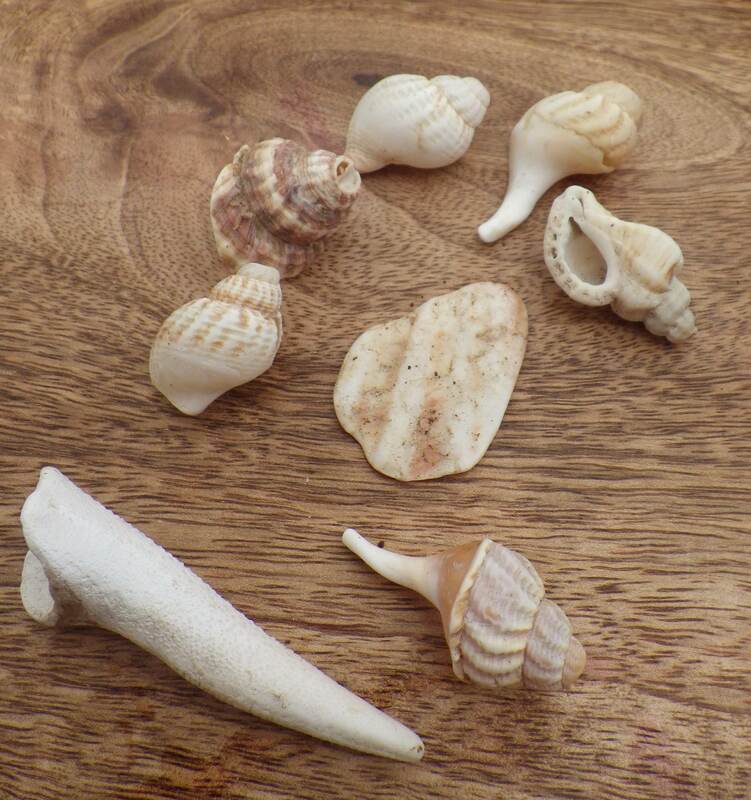 Thus inspired, I thought that Max and Sam would enjoy accompanying me on a trip to the beach to seek out some suitable shells to add to a little collection that I was given by some friends last year. The beach was almost deserted, but you’ll have to take my word for that because I forgot to take the camera… probably a good job as I was kept rather busy throwing Sam’s ball for her and rooting about for shells. Max does not generally move very fast, he usually just potters around sniffing things. But not today. Today he decided to demonstrate how useful he finds his deafness. Max likes chasing sea birds. Actually, he likes running vaguely towards them and has never succeeded in getting closer than 20m away before they take off. Today there were oyster-catchers, which Max eyed for quite a while before deciding to make his move. I noticed him setting off in their direction and diverted him away three times before he suddenly discovered his accelerator and departed like a bulled across the sand. 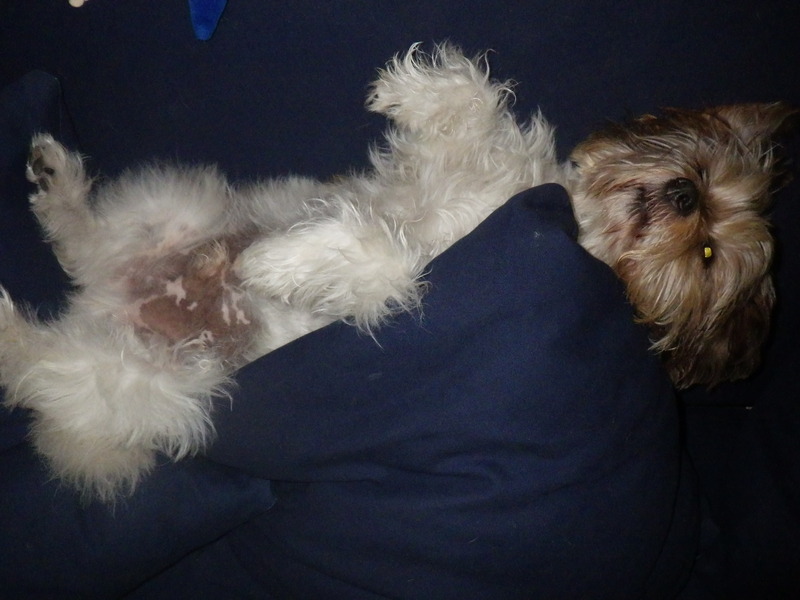 There is no point in calling him back – he cannot hear and even when he could, he would not have paid any attention (it’s the Lhasa apso in him – they are very willful dogs). Fortunately he was slowed when he encountered a stony area and I managed to retrieve him with the inconvenience of only slightly wet trainers. From then on he had to stay on his flexi-lead and I had to collect my treasures one-handed. 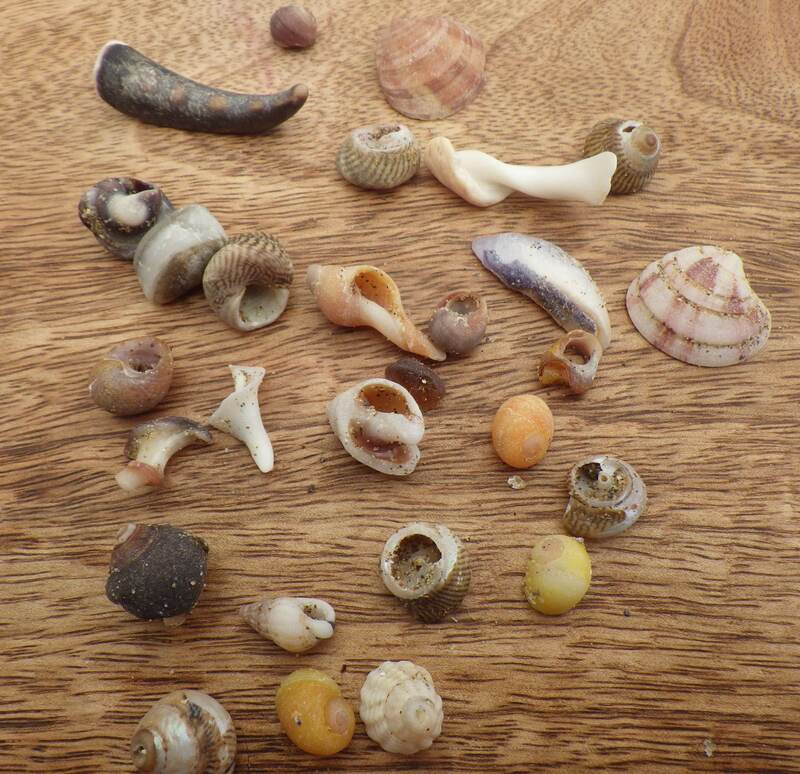 Despite this, I managed to make a nice little collection – choosing some shells that were worn away to expose the spirals inside. I’m not sure how these will work with the felting, but it will be interesting to experiment and I will report back next week. 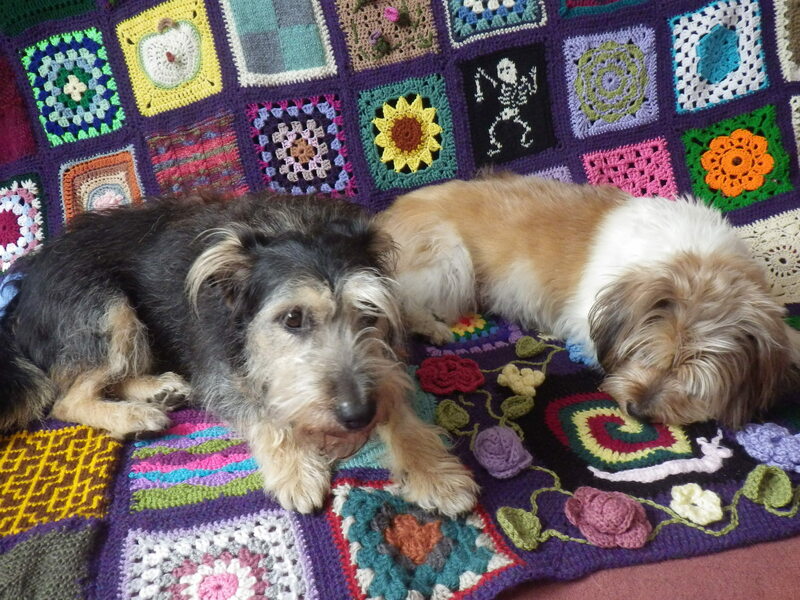 All-in-all, a successful excursion, resulting in a happy me and tired dogs as well as my treasures. One way that we can all be more sustainable in our lives is to be happy with what we have got. Constant pressure to experience or own new things just means that we are in a constant quest… often associated with consuming more and more resources. It’s important to remember that when we see adverts encouraging us to buy the latest gadget, pair of shoes or shampoo that will magically give us beautiful hair, the manufacturers may not be focused solely on our happiness. It is just possible that they are also interested in their own profits. The more we get hooked on the idea that the latest ‘thing’ is all we need to fill our lives with meaning, the more we perpetuate the process. It’s like a drug – all you can focus on is getting your next fix. And when you do, the effect is limited (maybe not even lasting as long as the time it takes you to get home from the shops) and you move on to seeking the next thrill. If you haven’t already watched it, I highly recommend the animation ‘The Story of Stuff‘ which will give you plenty of food for thought about this subject. However, if we look closer to home, we may be able to find happiness and stimulation within our existing sphere. The Story of Stuff project is currently asking supporters to submit pictures to their ‘Buy Less, Live More’ campaign. 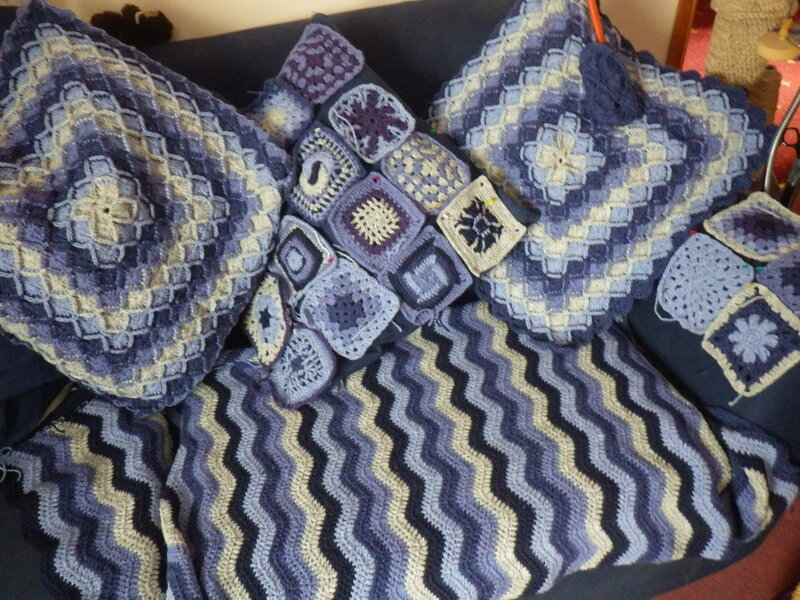 I have sent a picture of progress on the crochet sofa – if you want to send them a photo, you can do so here. It’s lovely to browse through all the pictures and see how people are enjoying their time not shopping. Other than crochet, the thing this week that has been making me smile most in my little world is Max. Max – as recommended by our vet – goes and has his hair done every three months. This seems to rejuvenate him – I’m not sure whether it’s because he can see better or simply because he feels nice afterwards, but he is always much more perky after than before. He is a rather naughty boy with Tina, our very patient groomer, so I have to accompany him and he has to be muzzled for part of the process. Yesterday, however, he made us both smile by being a Good Boy and not having a temper tantrum or trying to bite anyone. So, what have you been enjoying this week that doesn’t involve shopping? Looking around our house the other day I realised that you would never know about my obsession with fibre… other than all the work bags and baskets. You may be surprised to know that the place is not awash with afghans, covered with crochet cushions nor festooned with felt. There are a few things around… felt tea cosy and camera case, lots of knitted socks and a variety of hats and gloves, but not much that’s showy or obvious. 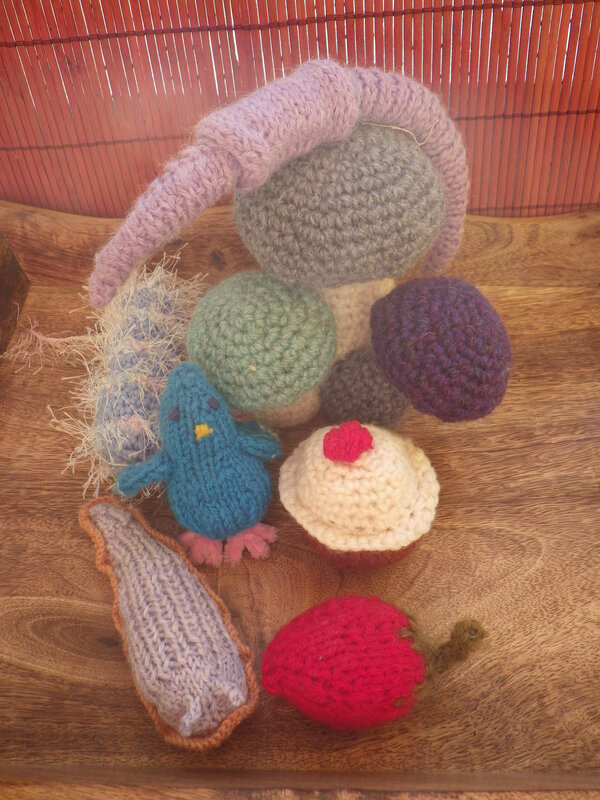 Around my office, you can see a knitted Nessie, crochet snail, mushrooms and bacteria, but they are quite discreet. Much of my work has been given away, swapped or sold. 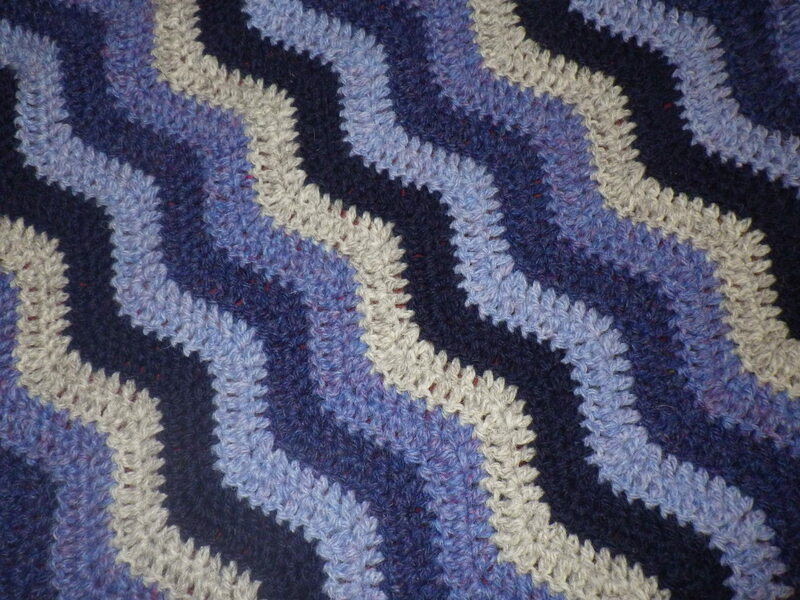 Soon, however, the masterpiece will adorn our bed and I will start on my Bavarian crochet afghan. But right now I have embarked on a big new project. Our sofa is nearly 14 years old. It’s still comfy and we don’t want to get rid of it (despite the fact that it eats hair grips, crochet hooks, scissors and, occasionally, dogs), but it is looking rather tired and Sam has decided in recent years that all the zippers on the cushions are especially yummy and should be eaten. We have a spare set of covers, but we are fast running out of covers that have functioning zippers for the big square cushions (five of them) that go along the back. 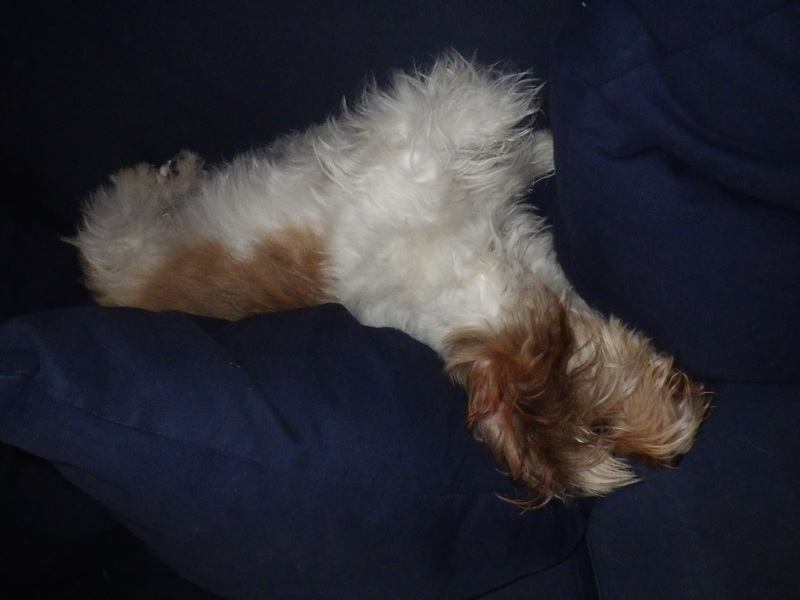 Fortunately, Sam has not noticed the large zipper up one side at the back of the sofa, so the two big covers are ok. In theory, I could replace the zippers, but I don’t want to for two reasons: (1) I hate putting in new zippers, and these are right along the top of each cushion, so are fiddly to replace, and (2) Sam would probably just eat them again (sigh). Anyway, it seems like a great excuse to yarnstorm my own home. 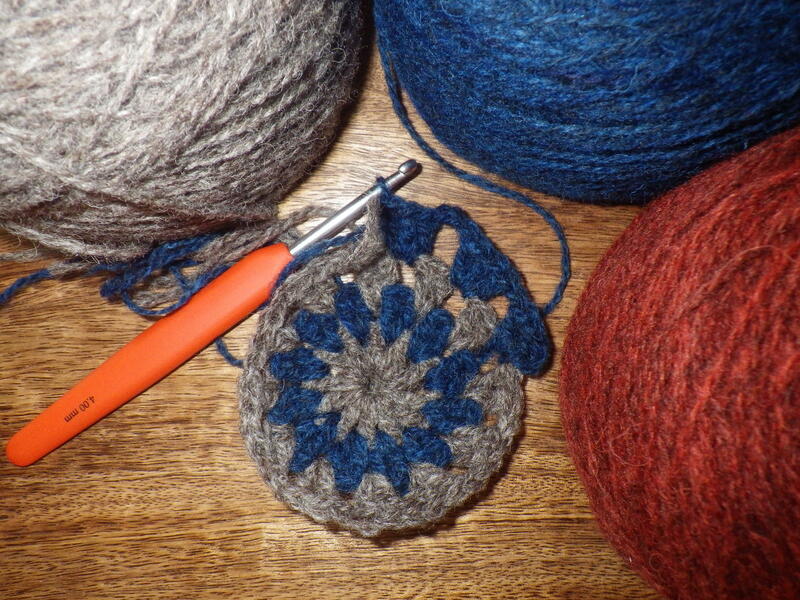 And so, blue yarn has arrived and crochet fun has commenced. I’m making the first cushion cover with Attic24’s Neat Ripple pattern as this was so successful for the cushion I made for my sis. Originally my intention was to make them all the same, but I’m tempted to use the same palette for them all, but different designs (would this be too much?) I have chosen five colours from the New Lanark range of double knitting wool: sky haze, iris, limestone, navy and denim. 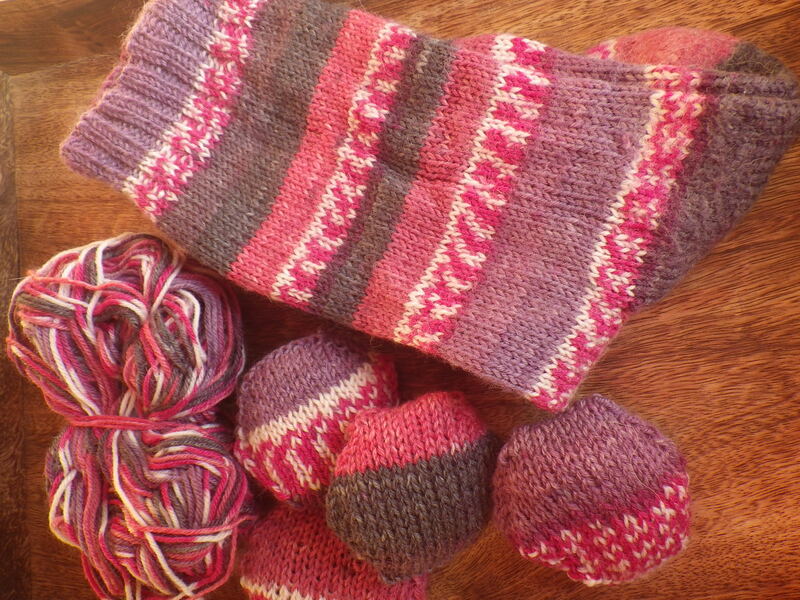 It’s going to require rather a lot of yarn and many hours of work, but I think that it will look great when it’s done. So often people throw away perfectly good furniture because it’s got a bit worn, so it feels good to put some work into reinvigorating this sofa. I know that lots of you have been itching to see progress on the Masterpiece and I have been remiss about keeping you updated. Frankly, over recent weeks, something had to give and this was it. As a result I have lots of squares to post up on the Masterpiece Page as well as work to do on the scrapbook, although some of the pictures have made it onto the Pinterest board. 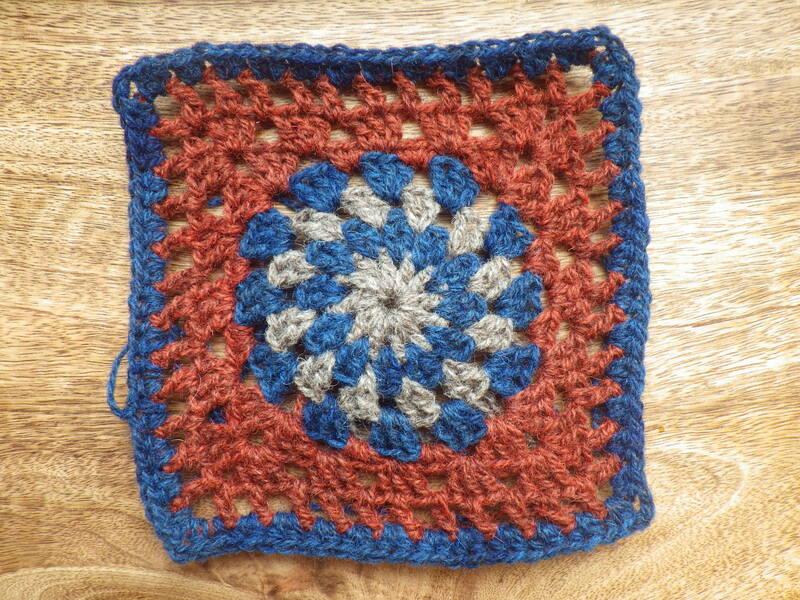 However, having got my portfolio of permaculture designs sent off at the beginning of the week, I have had time to focus on some crochet. Anyway, this is where I am at so far, with the above square and the one from Lorraine still to be incorporated and then lots of edging. What do you think? So, what’s making you smile or laugh today? This post marks the half-way stage of NaBloPoMo. 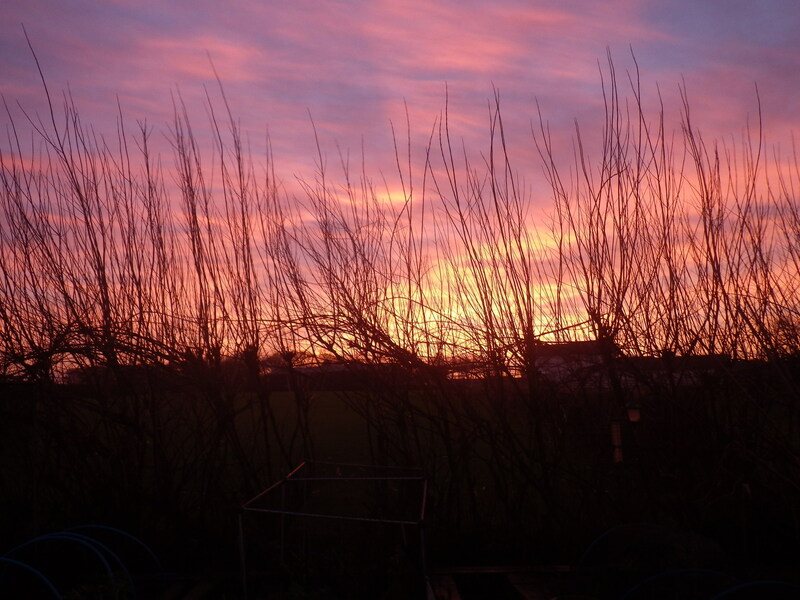 So far I have written 6603 words (excluding these), posted 46 photographs and received one award – not bad for half a month! In contrast, Mr Snail-of-happiness, who is taking part in NaNoWriMo (National Novel Writing Month) has written more than 20, 000 words, but, hey, it’s not a competition! What has been good about living with someone who is also participating in a writing challenge is the support this brings – have you completed your target for the day? If not there’s sympathy and encouragement and if you have, there’s celebration. In addition, the fact that the challenges are different means that there really is no competition, which is good for me because I’m not competitive by nature. 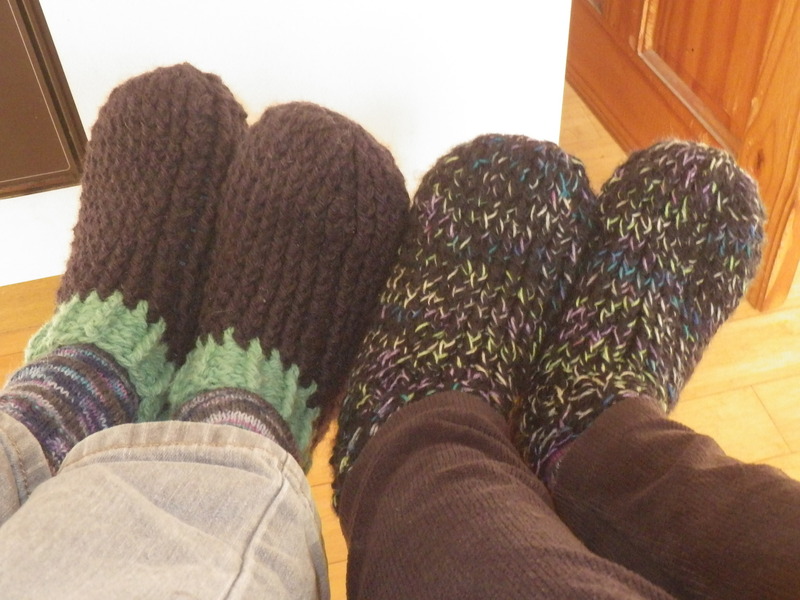 Having another person around is important to me, and represents the smallest unit of ‘community’. 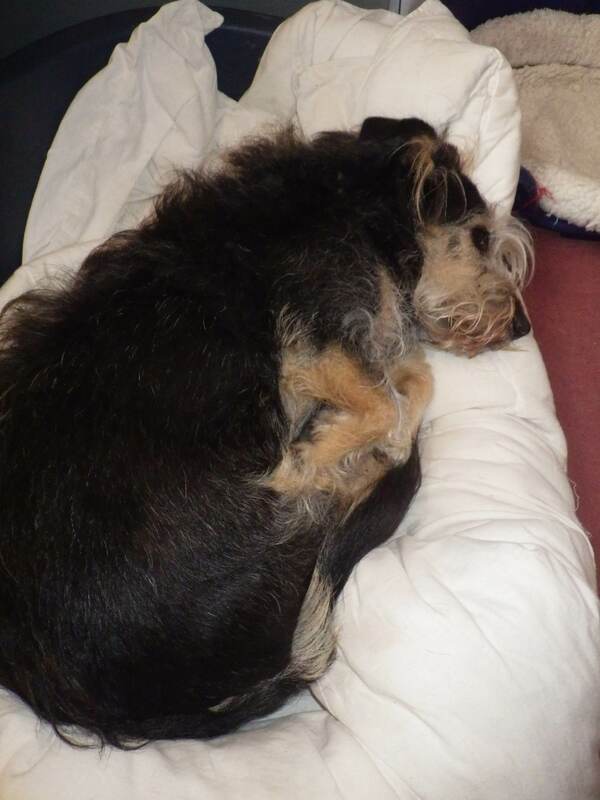 Mr S-o-h is not my only companion when writing, however… often in my office I am joined by a dog or two; and they enjoy the company of each other as well. 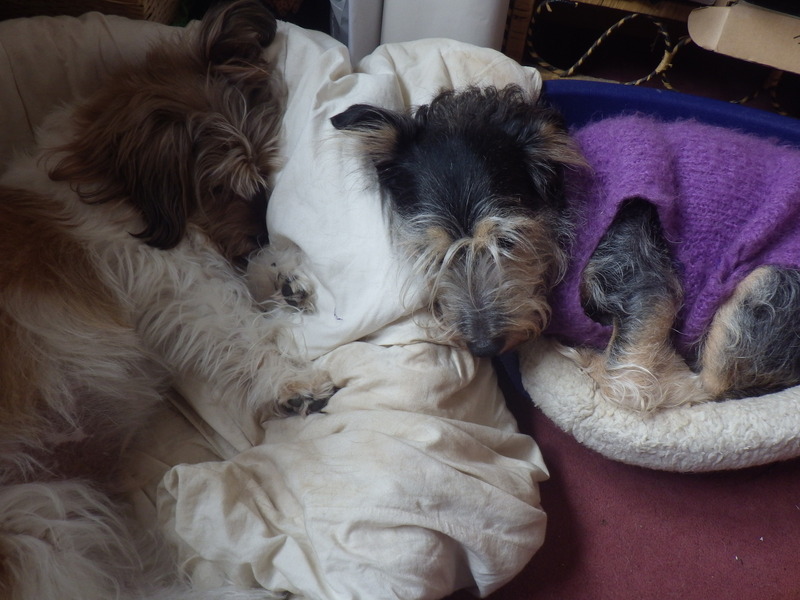 Interestingly, Sam (that’s her in the foreground) was something of a problem dog when we first got her and we were recommended to get her a friend to help calm her down. Max is a very relaxed dog, with a laid-back attitude and his arrival certainly changed Sam’s life – he has taught her to be house-trained, to eat properly and not to be scared of fireworks. As with many relationships, however, it’s not simply one-way: she encourages him to play and cleans his ears, and when we have to leave them in the house, they don’t get upset because they have each other for company. 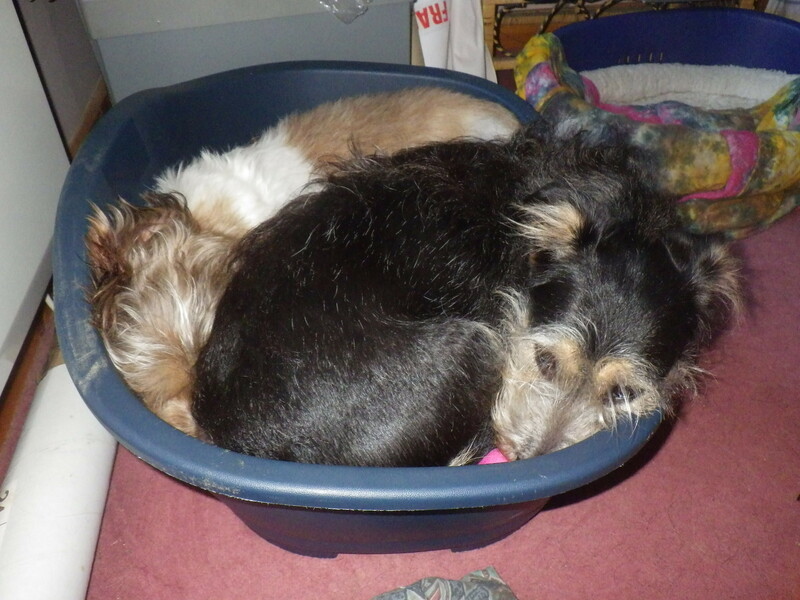 Dogs (like humans) are pack animals and social interaction with other members of their species is really good for them. 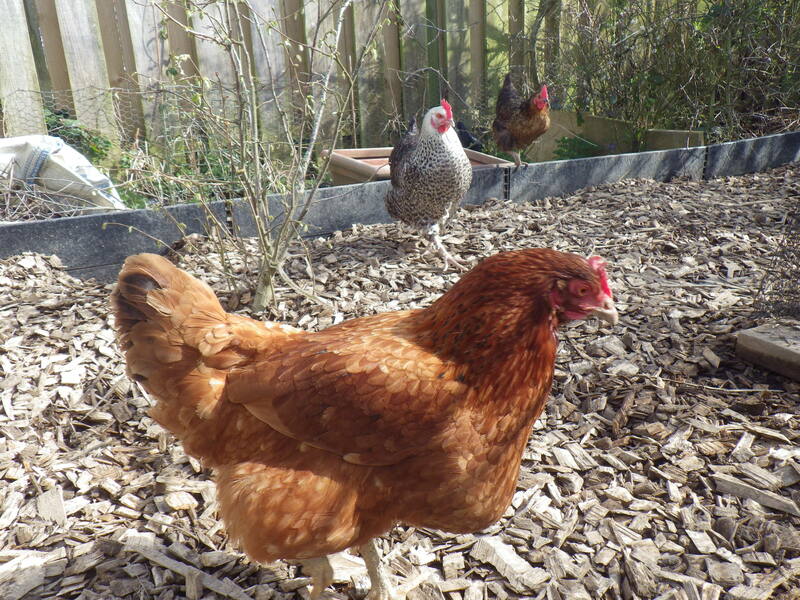 And they are not the only sociable creatures we have around the place. 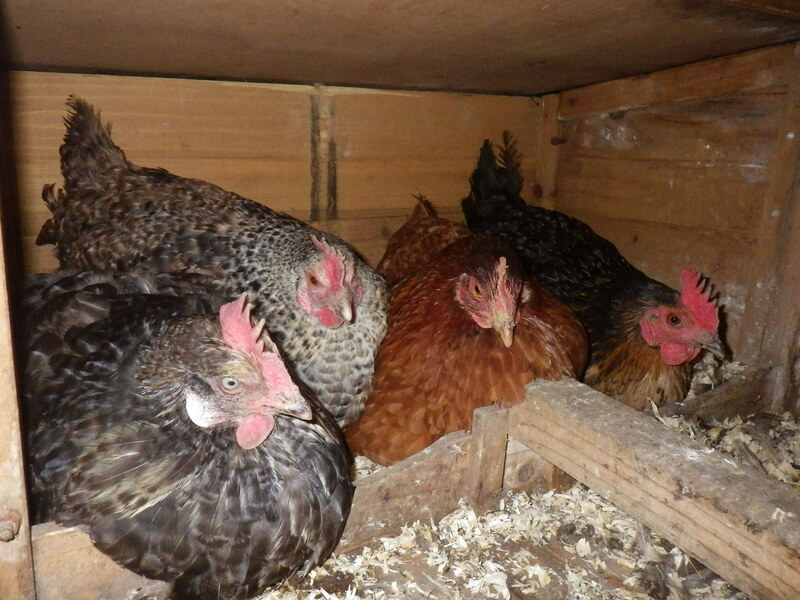 Despite having a ‘pecking order’, chickens also seem to enjoy each other’s company. I have mentioned Esme snuggling up with the others during her moult, but even now her feathers are growing back, the snuggling continues. I think in life we all appreciate some companionship – whether a cup of coffee with a friend, a nice comment on a blog or a phone call from a loved one. By opening ourselves up to others, whilst accepting some risk, we give ourselves the opportunity for amazing relationships and experiences and we start to build communities. So, go one, do something sociable today and strengthen the community you live within!